Yet it's immediately clear that all is not right at Camp Nightingale. Already haunted by memories from fifteen years ago, Emma discovers a security camera pointed directly at her cabin, mounting mistrust from Francesca and, most disturbing of all, cryptic clues Vivian left behind about the camp's twisted origins. As she digs deeper, Emma finds herself sorting through lies from the past while facing threats from both man and nature in the present. And the closer she gets to the truth about Camp Nightingale, the more she realizes it may come at a deadly price. 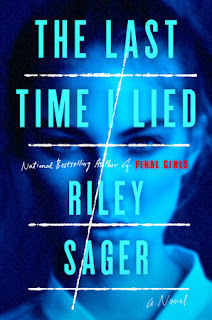 My thoughts: Last year, I read Riley Sager's debut novel, Final Girls and loved it, so of course, I was thrilled when I was offered the chance to read his newest book, The Last Time I Lied. And let me tell you...I think I liked this one even more!!! Both are great thrillers and both kept me glued to the pages, but this new one just has that extra something that makes it a fantastic read. I never went to summer camp, but this book just hooked me...it had that eery sense to it that hooked me right from that start. Add to that the fact that you have an unreliable narrator and I was sold! And I loved the way the story was told, moving back and forth in time...it really kept the story moving and kept you on your toes as you desperately try to figure out just what is going on. There are so many twists and turns here, the biggest one being when you get to the end of part one, leading into part two...OMG did my heart stop! Are you kidding me?!?! From that point on, I was glued to the pages and couldn't turn them fast enough! But at the same time, I actually went back and read some of the beginning to make sure I hadn't missed something! It's that kind of twist that plays with your mind...it's so good. And it doesn't stop there! I love the writing of this book - it's so atmospheric. Even if you're like me and didn't go to camp, you will feel as if you are right there at camp with these girls. It's moody and dark, and creepy as all get out, and you might just be reaching for the light if you are reading this in the dark, but it's so worth it! 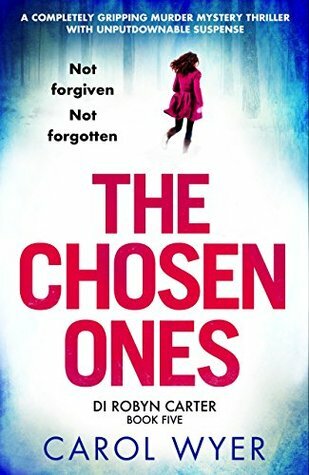 This is an addictive, binge-worthy type of read that is chilling, gripping and wildly entertaining - a must read for thriller lovers! The chaos and carnage lasted only eight minutes before the killers were taken down. But for those who lived through it, the effects would last forever. In the years that followed, one would dedicate himself to a law enforcement career. Another would close herself off, trying to bury the memory of huddling in a ladies' room, hopelessly clutching her cell phone--until she finally found a way to pour her emotions into her art. 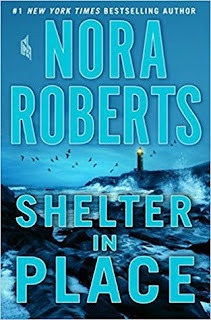 My thoughts: I've been a fan of Nora Roberts for quite some time, especially her romantic suspense novels. I find them compelling and easy to get lost in, especially on audio. 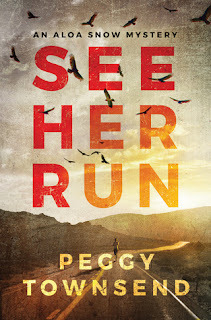 This latest one is, in my opinion, her best book to date, and one in which she tackles a subject that is only all too common in today's news - a mass shooting. It is an intense read for sure but also a very powerful one as well. Right away, I was captivated by this story. The book opens with the shooting that takes place inside a mall. It happens quickly and then it moves on. It's intense and it's hard to read...it's emotional and it's heartbreaking, yet it is something that we see happening all too often in our world today. 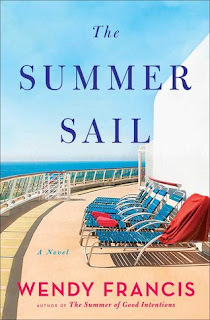 Nora Roberts certainly grabs your attention with the way she writes her scenes and sets up this story - she had me in tears within the first few chapters! I had chills as I listened to this part. But she didn't overdo on it, in my opinion. She set the scene and then she moves on. The rest of the book deals with how some of the characters move on as well as how one of the people involved in the shooting continues with their plan. How do you move on from such a tragedy? Does it change you? Do you let it destroy you or make you stronger? I think what is most impressive and really comes to light here is how Nora shows that through tragedy there can be growth and how it can help you redefine who you are, as she shows us with some of her characters. But equally chilling are the chapters she writes though the eyes of the actual mastermind behind the shooting. The character development in this story is top notch. Each character had their own intriguing story and it was hard not to become engaged and invested in them. They are all vividly portrayed, flaws and all, making them that much more relatable. And even more remarkable, was the seamless way the characters' lives were weaved together. It never really feels forced the way these characters come together. As this is a romantic suspense, you know there is going to be a romance, and it is a sweet one. I had it figured out who it was going to be, and I don't even think it's a big deal that I figured it out. To me, this is a secondary story line. It works and it plays naturally into the overall story line. This is such an emotional read. I cried a few times during the first part - it was hard not too. And then I got angry at times during the second and third parts. But, there was also much laughing along the way as well. Especially when Reed gets his dog - oh the antics that come along with that! 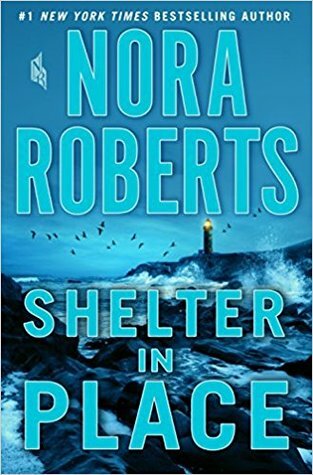 One thing for sure is that Nora Roberts certainly knows how to balance the heavy with the light to keep things from getting too deep. And this is also the case with some of the characters, too...Cici was great for a laugh or two just at the right moments! This is the type of book that stays with you long after you finish reading it...it is that powerful and intense a read. It's a tough topic, yet it gives a sense of hope for those who have been through such a tragedy. Audio thoughts: This book was fantastic on audio and made all the more so by the excellent narration of January LaVoy. She really brought her A-game to this narration - she gave each character their own unique voice and infused just the right amount of tension and emotion into her voice as needed. Her pacing and tone were spot on and her voice was pleasant to listen to for the whole 15+ hours. As intense as this story was, January's narration really helped to bring the story to life. Job well done!!! My thoughts: This is the first book I've read by Wendy Francis and with that eye-catching, summery cover, I knew I was in for a treat. I ended up reading it in one afternoon - it was that good and that quick a read! 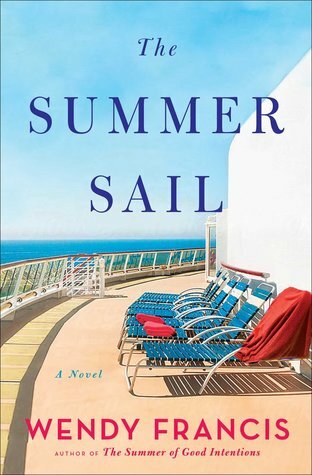 Even though cruising is not my thing, I still enjoyed this book quite immensely. I found it to be the perfect afternoon reading during a warm, summery day - it really was the perfect escape read! And what I loved is that it is such a balanced read - it's not all light and fluffy - though there are some moments of that interspersed. Rather, it's an emotionally spun tale of three "forever" friends coming together for some R&R as well as some much needed girl time. I loved how the book was told from multiple view points. This really allows us to get to know the characters, and while most of it was from the three friends, there were occasional sections narrated by Lacey, Lee's college-aged daughter. Every one of these characters has some issue they are dealing with - some that are more vocal about said issue than others. This vacation comes at a good time for all of them as they really need to be with their circle of friends, those they most trust. All along you are pulled into the womens' lives, and if you are anything like me, desperately trying to figure out what Abby's secret is. She's the one that organized, and paid for, this trip and while it's supposedly for her twentieth wedding anniversary, it's also for something else. She's not quite herself and as only good friends can, the others pick up on it. I so needed to know what this secret was, and more importantly, when she was going to reveal it. This book is the perfect book to take to the beach and while an afternoon away. It's a light-hearted read with some intense moments throughout - balanced just right so as not to skew the scale one way or the other. It explores the theme of friendship and that no matter what you might have going on in your own life, your true friends will always be there for you in your time of need. It's one book you won't forget and might even have you reminiscing about your own "forever" friends! 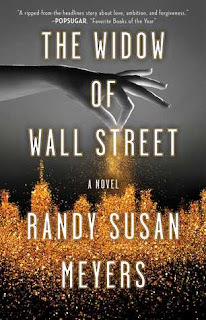 My thoughts: I'm a big fan of Randy Susan Meyers, having read and enjoyed her previous two books. Her writing just draws you in and she explores topics in such a way that you can't help but be engaged in the story. I fully admit I did not know much about the Madoffs before reading this book, though I of course had heard about them. I knew the bare basics of what Bernie had done, but I didn't know anything of his family. 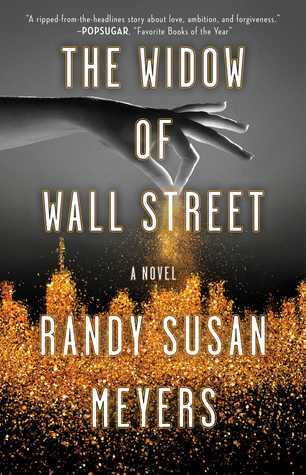 So, knowing this book is loosely based on that, I was a bit skeptical - I didn't want a book focusing on all matters financial. And yet, that is absolutely not what this book is about. What Randy Susan Meyers has managed to do here is take the scandal that happened but focus on the family members caught up in the fray. This book is at it's core, a very thought-provoking, intense look at the effect Jake's deception and greed had on his family. This story shows just how impossible a position Jake put Phoebe in. Once the scandal breaks, she is faced with terrible decisions, decisions you and I could easily make looking in, but as you read this story, you realize, and even feel, the weight of these decisions and why Phoebe had such a hard time taking a stand. After all, she had been married to Jake for over 45 years and they raised a family together. He was her world, and she always stood by him. But could she continue to do so? What would be the cost if she does? I think one of the more remarkable aspects of this book is just how much feeling drips from the pages. You feel all the emotions with this book - some at the characters and some right alongside. You will certainly go through a range of emotions yourself as you are reading - it's impossible not to. You feel Phoebe's devastation as her life crumbles around her and yet you can't help wondering just how innocent she really was in all this? Yes, I did feel sympathy for her, but I also felt anger towards her. Throughout her marriage, she basically let Jake become her whole world, to the detriment of herself. She chose not to ask questions. How can you not lay some blame at her feet? This book will certainly have you thinking and thinking some more. It is incredibly powerful. Randy Susan Meyers takes a hard look at this couple's marriage to figure out the answer to one single question - Will she stay? It shines a light on the fact that sometimes we let love blind us, instead of really paying attention to the things we should. It really is a great read and one that completely kept me engaged throughout. Audio thoughts: This was a great book to listen to and Susan Bennett did a fantastic job with the narration. She was able to give each character their own unique voice, and more importantly her tone and emotion seemed to be just perfect for each scene. She really did infuse just the right amount of emotion or tension into her voice as needed. It was very easy to get lost in the story, listening to Susan Bennett's narration. 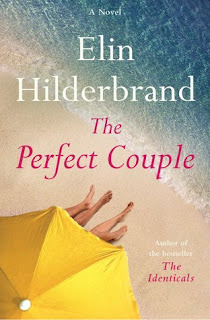 My thoughts: Nothing says the start of the summer season better than having a new Elin Hilderbrand book in hand!!! I was fortunate once again to see her at this year's Book Expo where she was signing copies of her latest book and handing out a beer - I have not missed this signing once in all the years I've been attending Book Expo and I adore getting to see Elin as much as I enjoy that beer at the end of a crazy few days! This book was such a fun, beachy read with a new twist thrown in - this time Elin sets a murder mystery within her story and let me tell you, this one really kept me guessing the entire time! It's amazing just how many secrets one uncovers within a family when investigating a murder that happens on your property. I'm sure the last thing Greer expected when she planned this big shindig for her son and his future bride was to have all their dirty laundry exposed during the course of an investigation...and yet, that is just what happens. I love the characters that Elin creates - they are so full of life and richly drawn, but at the same time, they are not always lovable...try as you might. And that's the beauty of them - because as much as you might not like who they are or what they do, you cannot walk away from them! You need to find out as much as you can about them and what they end up getting themselves involved in. These characters are flawed for sure, but they are real and authentic and that's what makes them so appealing. And I also loved that Elin brought some old familiar characters into the fray this time, especially Chief Ed Kapenash from The Castaways, who has a pretty big role here. Perhaps this is going to be a new trend for her...that we will see some familiar faces here and there? After all, Nantucket is a small island! The mystery really kept me guessing from start to finish. I kept thinking I had it all figured out each time a new secret was revealed, only to be completely thwarted - I never would have gotten to that ending in a million years! I liked that the mystery was light and not bogged down - as the investigation was going on, there was the typical Elin storytelling - a good mix of crazy drama and a look into family relationships. She really has a knack for delving into the complexities that make up a family and yet manage to keep you completely engaged and wanting more! Audio thoughts: This was such a fun book to listen to and I think Erin Bennett really did a great job. She was able to give each character their own distinct voice and personality, and her tone and pacing were spot on. Even her accents seemed to be authentic, which makes for a more realistic portrayal of the characters. I enjoy listening to Elin's books on audio and Erin Bennett did a good job bringing this story to life! 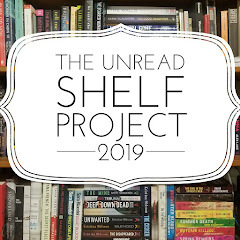 My thoughts: I love a book that pulls me in right from the start and when that book also happens to be the start of a new series, it's even better! This detective mystery has quite a few memorable characters and is fast-paced - which keeps you flipping those pages as you try to figure out alongside Aloa just what is going on. I really liked Aloa Snow - I liked that she is not unreliable, yet she is deeply flawed. Not that I have anything against unreliable narrators, but I think in this case, it worked just as well to have our main character be full of demons that she constantly struggles with...this makes her all the more attractive and interesting. I also liked that through flash-backs, we learn a bit about Aloa and her history, especially that of her relationship with Michael. They have a tenuous relationship now at best, yet Michael can only think of her to investigate this case...but is it just about the work or is there a chance for a reconciliation? We also meet some other characters and I wonder if they will continue to make appearances in this series or if they were only part of this first installment, such as the "Brain Farm," the group of anarchists that help Aloa with research; and Erik and Guillermo, the duo that owns the restaurant Aloa frequents and who are quick to offer comfort food and support when needed. I would love to see more off all these characters - they all really were quite memorable and added their own unique quirk to the book. There are quite a bit of twists and turns as Aloa starts investigating the death of Hayley...and the tension and suspense build steadily throughout the book until the very end when everything is finally revealed. While Aloa's primary focus is to find out what really happened to Hayley, she wouldn't mind bringing about a bit of redemption for herself at the same time. I enjoyed the first installment of this new series and am looking forward to seeing how it progresses from here. Hopefully this is a long-running series as I think there is some potential here! In a new novel from New York Times bestselling author Bryan Reardon, a suburban family is rocked in the wake of a terrorist attack on American soil. 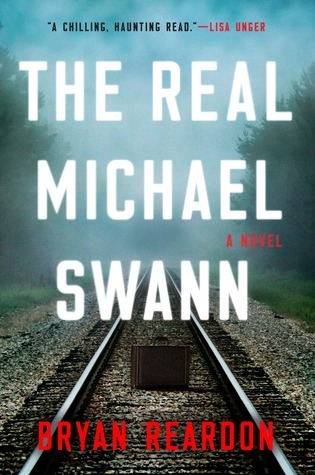 Part family drama, part tragic love story, and part disaster narrative that hits terrifyingly close to home, The Real Michael Swann is a deftly plotted suspense novel with an unflinching portrait of a marriage at its heart, challenging us to confront the unthinkable--both in our country and in our own homes. My thoughts: I am not new to Bryan Reardon's books, having read and loved Finding Jake, though I admit it wasn't until reading the author bio in the back after I finished the book that I realized it was the same author. Still, this book was a highly anticipated read and one that I was lucky enough to grab at Book Expo this year...I even had the opportunity to meet Bryan and get a signed copy of this book! This is such a timely read, though I admit it might be a bit of a difficult read for some given the subject matter of the book. It is a scenario that is only too realistic for many of us, something that has happened and unfortunately has the potential to happen again. But the genius of this book is in the way it is told, the way the story unfolds. 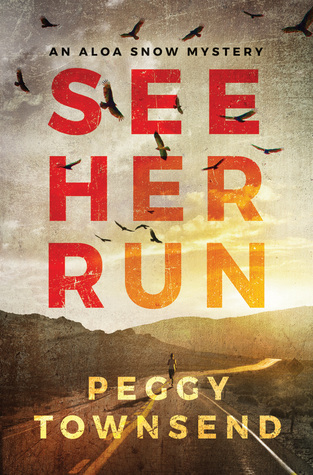 It is certainly a thriller, no doubt about that, but in many ways I would also classify this book as domestic suspense. It is an intense, intimate look into a marriage that from all outward appearances seems to be just fine, but once you start looking closer, the little cracks show. Having the story told via two narrators and going back and forth in time really does add to the tension and suspense of the book. It is through this that we learn about who these characters are, who the Swann's as a couple are. The memories and the strolling stream of consciousness really allow you as the reader to really know and understand these characters. And the shortness of the chapters also heightens the tension - giving us just the right amount of information at a crucial time to keep you reading. This book will take you on a roller-coaster ride of emotions. It's powerful and those feelings are so palpable. I was immediately hooked in the first few chapters - and then by the time I got to the second half, I was glued to the pages...I just couldn't put the book down. I was constantly trying to figure out just where things were headed and it wasn't until the very end that I figured some things out...but still, I loved every minute of it. It brings up a whole slew of questions that you will be asking yourself and ones that I am still thinking about days after I have finished reading. This book, while it may start off simple and benign, delves into a pretty complex and layered story - the kind I enjoy the most. And because this scenario is one that we see on the news time and again, it made the book that much more realistic and engaging. It was a thrilling, gripping yet haunting and frightening read that I certainly won't be forgetting any time soon. Bryan Reardon has one again given us an emotionally charged, thrilling read. I can't wait to see what he writes next! My thoughts: B.A. 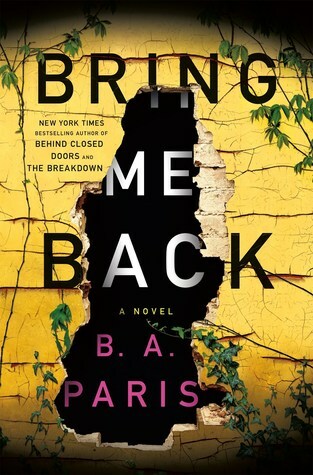 Paris has become the author where I just about drop everything to read her latest book when it shows up. And the fact that they are usually quick, binge-worthy addictive reads is just an added bonus! She really knows how to do play with your mind and get under your skin and I love every minute I am immersed in one of her books! I devoured this latest book in two sittings - it's that quick and addictive a read. Yes, it does have short chapters and that always helps but I also think the story line itself lends to the binge-worthiness of this book. You just can't help but become completely wrapped up in what is going on and find yourself in a place where not only do you NEED to know what is going to happen next but you also NEED to know how it is all going to play out. That is this book, in my opinion. Right from the start I had an uneasy feeling about the characters and was unsure of who I could trust. And let me just say - I love books like this...I love trying to figure out if it's just the main character that is unreliable or if there are others that are just as unreliable. It makes for such a good, fun reading experience - always wondering if what has been said or done is done in good will or not. This book is full of tension and dark undertones - that is apparent right from the start - and it carries through all the way. You just know all is not really what it appears to be and this makes for such good suspense - when is it all going to come crashing down? Because you know something is going to happen, something big...you just don't know what or when. And that ending...while it may not be what you were expecting, I think it definitely deserves major kudos for being one that took my by surprise. I had put some of it together but by no means going to that extent, which is why I liked it so much. Will it work for everyone? Probably not, but I guarantee you, if you like a thrilling, creepy ride along the way, you won't be disappointed. This has just moved up to be my favorite book from her - and I've really them all! 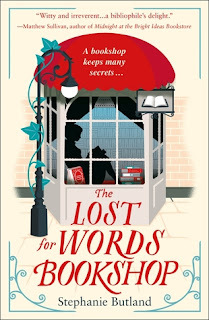 Tomorrow, Stephanie Butland's latest novel, The Lost for Words Bookshop, comes out, and because I ended up with an extra copy, I'm going to give that copy away - and it's a finished copy! I will be reading this book soon and am really excited about it. You can also see what others have to say and then be sure to enter the giveaway below!!! Into her hiding place—the bookstore where she works - come a poet, a lover, and three suspicious deliveries. The Lost for Words Bookshop is a compelling, irresistible, and heart-rending novel, perfect for fans of The Storied Life of AJ Fikryand The Little Paris Bookshop. Thanks to the publicist, one reader will win a finished copy of The Lost for Words Bookshop by Stephanie Butland. To enter the giveaway, please fill out the rafflecopter by June 25th. This giveaway is open to US residents only and ends June 25th. My thoughts: This series is one that I really enjoy. The books are a bit on the dark side, but the character development is top notch and it's a series that calls me back with each subsequent book. I think one of my favorite aspects of this series is that we always get chapters in the killer's voice. It's not always apparent who this person is right away, and sometimes I am able to figure it out before it's revealed and sometimes not, but either way, these chapters really provide some chilling insight as to why the murders are happening. I think the why is just as important, if not more in some cases - and for sure that is the case here. I did figure out the murderer before the actual reveal, but trying to understand the why was key. 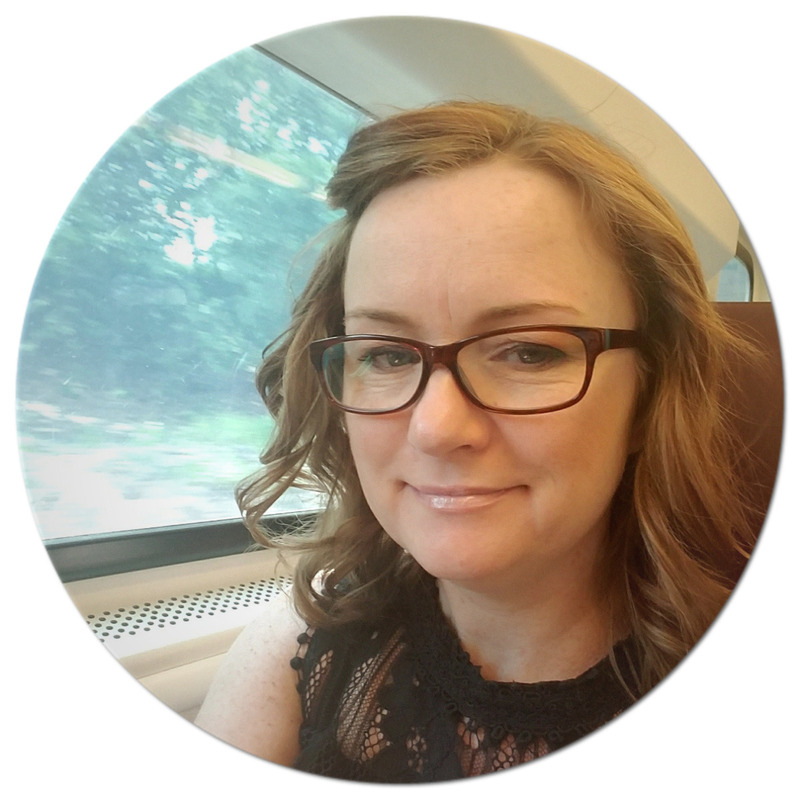 As the team is working on tracking down what has become another serial murder, Robyn is also working with her cousin, Ross, tracking down the latest developments on her presumed-dead husband. Is he really dead? What exactly has happened to him? And who has been watching her house? This is a thread that has had me waiting for more clues for a while now and I was happy to see progress happening here. While there isn't exactly closure on this just yet, it's still progressing and I am anxious to see where it heads in the next book. I just hope it isn't dragged out forever! The twists and turns in this book really keep it moving at a quick pace. It pulls you in right from the start and never really lets up. And as the case is being investigated, we get to spend time with some Robyn's team, which I love. I like these characters and I like that some time is devoted to them in each book - not a ton, but enough to feel that you are getting to know them a little bit. This book is a wild ride on the emotional front as well. Some events happen that for the series die-hard like me, are a tough pill to swallow. I even felt a tinge of sympathy for our murderer at one point - once things are out in the open and you know the why, this statement will make more sense - but that's not anything I expected to feel, yet that's how adept and skilled Carol Wyer is at writing these stories. And that's just one example. I love this series - it's a complex, dark, gripping crime series that I just cannot get enough of - I sure hope the next book comes out soon!! !